As much as I disliked the Icons of the Realms: Starter Set, I am a sucker for miniatures and I decided to pick up one of the Tyranny of Dragons (ToD) Booster Packs. I am very happy I decided to make that purchase because the ToD boosters feature some of the best pre-painted plastic miniatures I have seen on the market. Since that first purchase, I have picked up two additional boosters and I have yet to be disappointed. The set includes 44 unique minis and all of the ones I have collected so far are interesting sculpts with nice paint jobs. WizK!ds made some very smart design decisions when they created these minis as well. For example, the dragons can be very large minis with appendages extending well beyond the radius of their base. This can create problems at the game table as they spill over into adjacent positions making it harder to maneuver other miniatures around them. 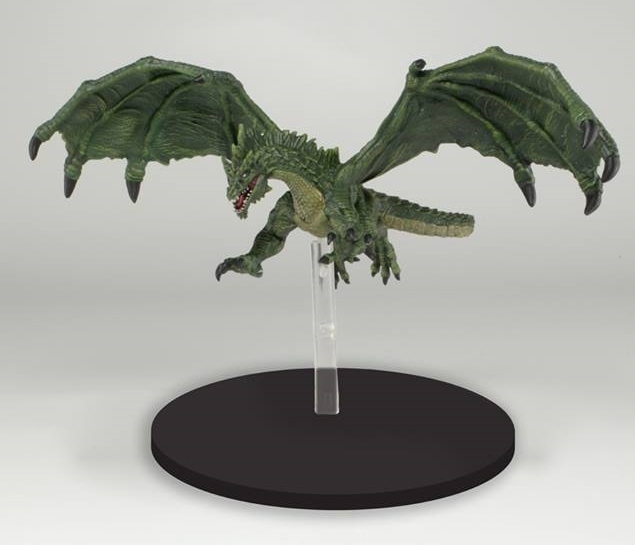 The ToD dragons have all been elevated on very sturdy, clear plastic posts (flying dragons) making them so much easier to use at the table (see below). Each booster contains 4 miniatures and costs $15.99 which is roughly $4 per mini. This is not a bad price per se, but the quality of these minis is high which makes it a good buy in this GM’s opinion. 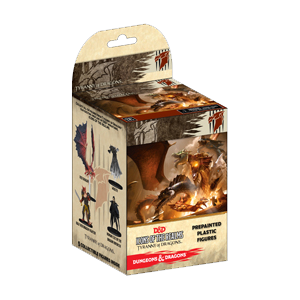 I give the D&D Icons of the Realms: Tyranny of Dragons Booster Packs five out of five stars. Well done Wizards of the Coast and WizK!ds!